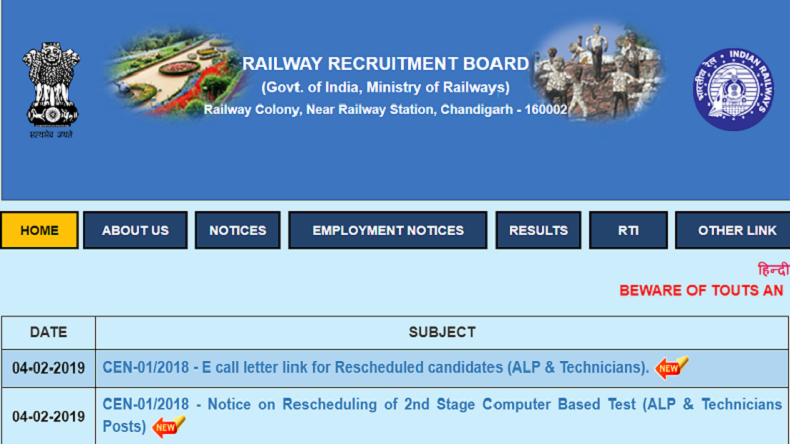 RRB NTPC 2019: The official notification for 1.3 lakh vacancies soon to be released on the Employment News on Saturday, February 23, 2019. According to the statement released by the Union Railways Ministry, the Indian Railways will recruit 2,30,000 employees over the next two years. The officials stated that it requires a prepartive works in compiling the vacancies for various departments. The Indian Railways is all set to release the official notification for 1.3 lakh vacancies soon on the education tabloid Employment News on Saturday, February 23, 2019. Recently, unofficial RRB NTPC notification was circulating on the social media which led to confusion among the candidates. On being asked about the same, an official from the Railway Recruitment Board mentioned that the Board has not released such notification either in public or to the press. In 2015, more than 18,000 vacancies in 2015, the RRB NTPC released a notification for the same. While speaking to a leading daily, the officials stated that it requires preparative works for the notification requires a lot of time. They need to calculate exact vacancies in various departments. They will have to apply the reservations rules, especially the newly announced EWS reservation. As per the availability of the current vacancies, the Indian Railways will recruit 2,30,000 employees over next two years. This statement was made by the Union Railways ministry in the previous month. The RRB NTPC notification has released a detailed information by Indian Railways with important dates, vacancies, reservation and eligibility criteria. According to the Ministry, Indian Railways has a strength of 15,06,598 employees which are sanctioned. Out of these, 12,23,622 personnel are on roll. Remaining 2,82,976 are vacant posts. Recruitment for 1,51,548 posts is in process, leaving 1,31,428 posts still vacant. The Ministry had ordered the Board to fill these vacancies in the next two years in two phases. The first phase of recruitment will begin for 1,31,328 posts in the month of February-March, 2019. Meanwhile, the RRBs and other recruitment agencies which are affiliated with the national transporter are engaged in a hiring process. A total of 1,51,548 vacancies RRB Group D, RRB ALP, RRB JE and Railway Police. Approximately 53,000 and 46,000 railway employees will retire in 2019-20 and 2020-21 respectively, leading to an additional vacancy of around 99,000 employees. A total of net vacancies of 1,31,428 and approximately and around 2,30,000 employees are to be recruited in the railways over the next two years.